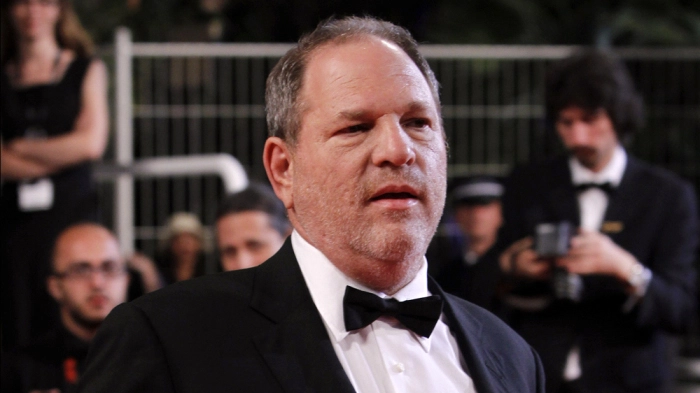 Harvey Weinstein, a Hollywood big wig producer responsible for movies such as Shakespeare in Love and August: Osage County, was accused of covering up decades of sexual assault and harassment against various actresses and other women in the entertainment industry, when a New York Times piece hit the internet earlier this month. Weinstein was accused of various sexually-aggressive acts involving leading ladies such as Ashley Judd, Rose McGowan, Angelina Jolie, Gwyneth Paltrow, and many more. The story even lead many to point fingers at other leading men in the industry, like Matt Damon and Russell Crowe, who were accused of helping bury stories previously set to publish regarding Weinstein’s alleged misconduct. Since news broke, Weinstein has been fired from The Weinstein Company, one of the world’s most-recognized film studios. And speaking of men accused of highly inappropriate behavior, Kevin Spacey was accused by fellow actor, Anthony Rapp, of making sexual advances towards him when he was just 14 years old and working on a project with Spacey. He recounted a time where Spacey allegedly pushed Rapp onto a bed and climbed on top of him. Spacey was 26 at the time. Since the accusations, Spacey released a statement apologizing for the incident, and taking advantage of the situation to come out as a gay man. 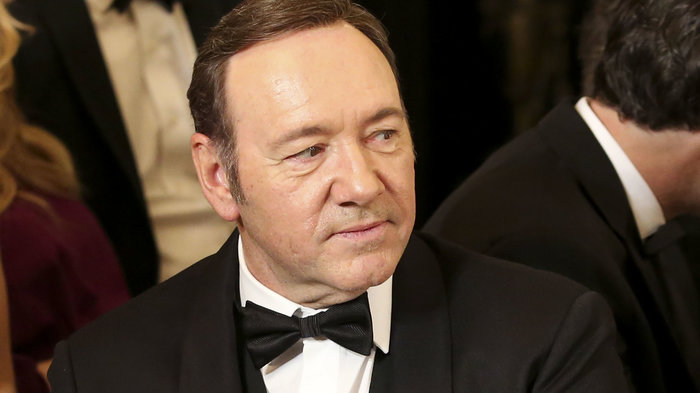 The statement reads, “This story has encouraged me to address other things about my life….I have loved and had romantic encounters with men throughout my life, and I choose now to live as a gay man.” Many criticized Spacey for using this time to apologize and correct the explicit behavior of which he’s been accused, to “choose” to live as a gay man. Netflix has since announced the upcoming season of House of Cards will be the sixth and final one. On a much lighter note, this month was also a month of love for singer Joe Jonas and actress Sophie Turner. The paid announced on their individual Instagram accounts they are engaged! Many reacted with their congratulations, including Jonas’ brothers, Kevin and Nick. The pair, while openly admitting to their relationship, have always been relatively private. Earlier this year, Turner, who famously plays Sansa Stark on HBO’s Game of Thrones, spoke with Marie Claire saying she was “very happy” in her relationship, but admitted it was hard at times, saying it was often like living in a fishbowl. Congrats to the happy couple! 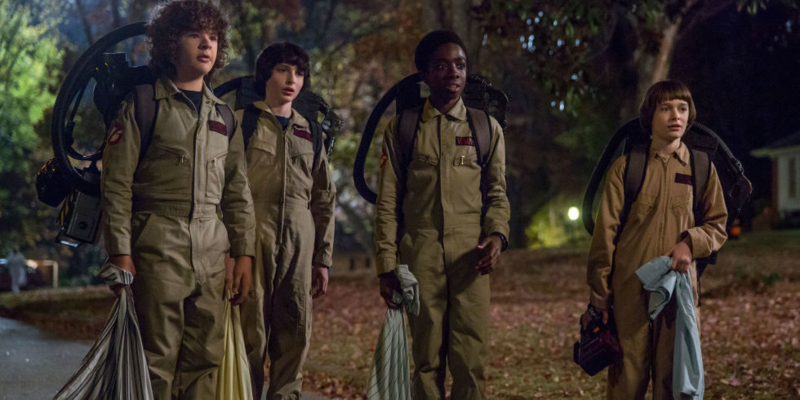 Finally, October marked the return of everyone’s favorite gang of monster-hunting kids when Netflix’s Stranger Things 2 was released worldwide. The show broke records for quickly becoming the most-tweeted-about series since the debut of season 2 on the popular streaming site. Season 2 takes place in Hawkins, IN on Halloween as Will Byers learns not all is well after the defeat of the Demogorgon in season 1. The show sees the return of all of our favorites such as Eleven, Hopper, Nancy, and so many more. Happy Halloween, everyone! That’s it for this month! Make sure you check back next month for another wrap-up of what you may have missed from Hollywood! Be sure to follow us on Twitter, and “like” us on Facebook for more articles like this!